To make things interesting, we will be implementing the core functionality in Rust using Helix. At the end of the tutorial we will also cover deploying this app to Heroku. Once you have verified that everything is working, exit the Rails server by pressing Ctrl+C. Be sure to run bundle install afterwards. This will generate a Helix crate called text_transform, located in crates/text_transform. A Helix crate is simultaneously a Rust crate and a Ruby gem. This encourages you to structure your Rust code as a self-contained library separate from your application code. As you can see, we were able to invoke the method (implemented in Rust) from Ruby. Pretty cool! Now that we have the boilerplate down, let’s implement the text_transform library. Let’s begin by writing some tests using RSpec. The flip method takes a string as input, splits it into characters, maps each character into its “upside down lookalike” and joins them back up into a new string. If you look at the code, you’ll notice that we’re using a lot of high-level features here such as iterators and blocks. Now this might sound suboptimal, but the Rust compiler will be able to see through all of that and generate highly-optimized machine code that could even outperform your carefully hand-written loop. The trick is to make rake build a dependency of your spec task. That way, running rake spec will always ensure the Rust code is built (and up-to-date) before running your tests, just like the built-in rake irb task. To show you that workflow, let’s try to add a new feature. As you can see, this is a pretty simple feature: if you give a table, it’ll flip it; if you give it a flipped table, it’ll flip it back. So now we can try running our test again with rake spec, and they’re failing as expected. With the tests in place, we can go ahead and implement our feature. This is going to be pretty straightforward; we’re just going to have a conditional at the top to check for the special cases. Going back to the terminal, you can see that by running “rake spec”, it automatically rebuilds our native extension. Therefore, everything Just Worked™. 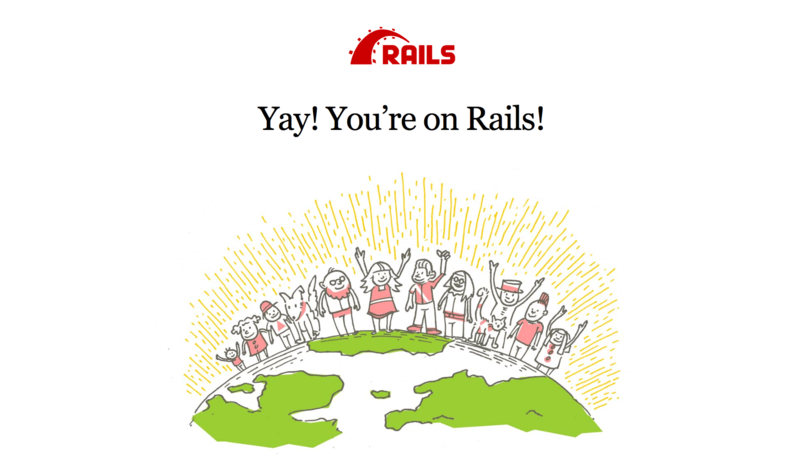 Now that we have built a library to do the heavily-lifting for us, we wire everything up inside our Rails app. @text = params[:text] || "Hello world!" As you can see, with pretty minimal effort, we were able to create a Ruby native extension written in Rust using Helix, and integrate it into our Rails app. Finally, we will deploy our Flipper app to Heroku. First, you will need to create a Heroku account and install the Heroku CLI tools. These commands add the Rust buildpack, which makes the Rust compiler available, as well as the regular Ruby buildpack that knows how to configure a Rails app. With that, you should have a working Flipper app – powered by Rust, running inside a Rails app – up and running on the Internet. Congratulations!